The Texas climate is too hot and too dry right now for most of the 18 different kinds of scorpions in the state, according to Molly Keck of the Texas Agrilife Extension Service, which means they are heading indoors. “They have to regulate their temperature and when they feel the cooler weather from the AC, they will squeeze inside,” she said. Keck said they tend to head to cool, dark, and lightly damp spots once inside. “You will find them in the bathroom, the laundry room, maybe even under the kitchen counter — places where there is moisture,” said Keck, an entomologist in San Antonio. Keck said they have commando-like skills, such as crawling into your dryer even with the door closed. “Sometimes, in the laundry room, they like to get in through the vents,” she said. “If the vents don’t have a good seal on them or a good kind of mesh screen on them, they’ll come crawling in through there, so people will actually see them inside their dryer and they might get on their clothes after that." The most common scorpion in Texas is the striped bark scorpion, which often falls from trees onto your roof, Keck said. Despite two eyes on the top of their head and up to five more eyes on the corners of their heads, it’s thought they rely more on body hairs to get around. She said if you get stung by a scorpion, it probably was not intentional. She said to prevent stings, make sure weather stripping around doors and windows is in good shape and don’t forget to check the cover on your outdoor dryer vent. In general, be careful around cool and slightly moist places and things inside your home. Outdoors, when it’s hot and dry, she said scorpions hang out in wood piles, foundation cracks, under stones, and under tree bark, so stay away from those too or wear gloves. 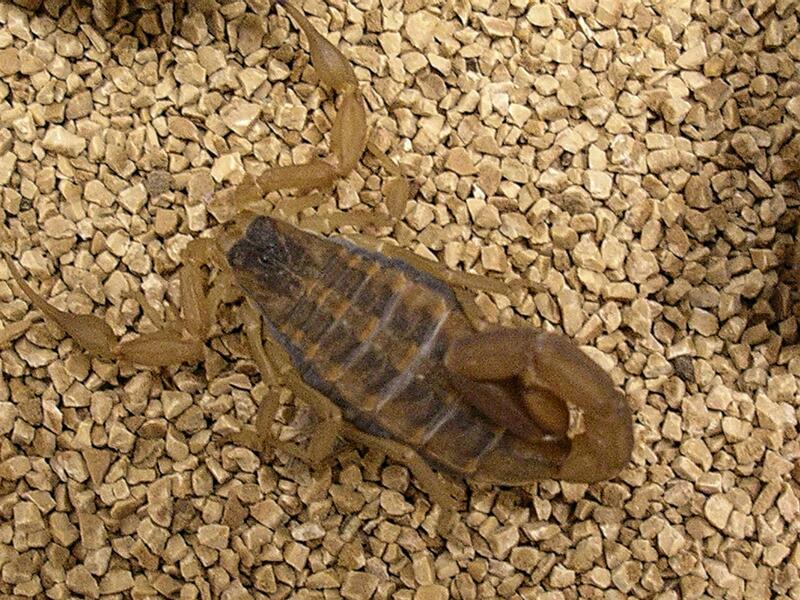 According to the Mayo Clinic, healthy adults usually don't need treatment for scorpion stings. But if a child is stung, the same amount of venom may have more-serious consequences, so seek immediate medical care.